Jusino Law Vlog - What Do I Do If I Am Arrested? Suffolk County Law Firm | Phillip J. Jusino & Associates, P.C. Jusino Law Vlog – What Do I Do If I Am Arrested? Being arrested can be one of the worst experiences in a person’s life, especially if being arrested for a serious matter such a misdemeanor or felony. In this vlog, Phil Jusino, a former Suffolk County Assistant District Attorney and a criminal defense for over 28 years, discusses what you should do if you are arrested or about to be arrested. Hiring Mr. Jusino to represent your interests in such a matter of law would be a wise first step in mitigating and resolving the issue at hand. Phillip J. Jusino is a 1986 graduate of the Fordham University College of Business Administration and a 1989 graduate of the Fordham University School of Law. 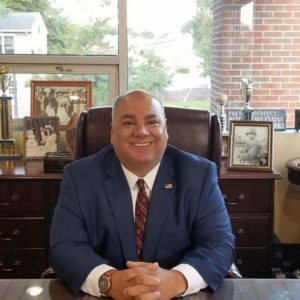 Mr. Jusino served as a Suffolk County Assistant District Attorney from 1989 to 1991 in the District Court Bureau and Domestic Violence Unit, and later served as a Law Guardian representing the interests of children. He was also an Adjunct Professor at Dowling College in the early 1990s. Mr. Jusino has been in private practice for almost 30 years and heads the law firm of Phillip J. Jusino and Associates, P.C. located in Lake Grove, New York. Mr. Jusino has extensive trial experience and appears regularly in Supreme Court, County Court, Family Court, and District Court representing his clients’ interests in the areas of Divorce, Family Law, Criminal Defense, Personal Injury, Adoptions, CPS matters, as well as Wills & Estates. Mr. Jusino is the author of 'Divorce: A Practical Guide - A Common Sense Approach from an Experienced Matrimonial Attorney' which was published in 2014 and is available for purchase at Amazon.com, JusinoLaw.com, and other book outlets. Mr. Jusino has won numerous awards and accolades from various legal societies and publications as a top attorney in his field. Mr. Jusino hosts a television show called 'Finding Common Ground' which airs on Altice every Saturday at 10am on Channel 115 and every Thursday at 1am on Channel 20. You can watch the live version of 'Finding Common Ground' every Friday at 8pm on Facebook Live and YouTube. Past shows can be viewed on the YouTube channel for WLINY Internet Radio. In addition to Mr. Jusino’s shows, his video blogs (Jusino Law Vlog), concerning frequently asked legal questions, can be viewed directly at JusinoLaw.com under ‘Posts’ or at the Jusino Law YouTube channel. Jusino Law Vlog – What Do I Do Once I Am Released After Being Arrested?